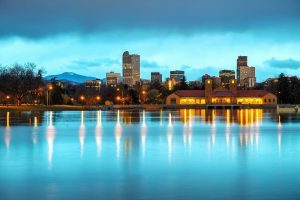 Why are we pointing investors towards the Denver real estate market in 2019? Continue reading this blog to find out. Denver, the largest city in Colorado, is being called one of the top markets to watch for 2019 according to the PwC’s Emerging Trends in Real Estate Report. So, why should you invest in the Denver housing market 2019? We’re going to give you Mashvisor’s return on investment analysis summary for the Denver real estate market along with the Denver real estate trends. The following data is provided by Mashvisor’s investment property calculator. To use our many tools for making the best real estate investments in 2019, start out your 14-day free trial with Mashvisor now. These numbers alone should be enough to persuade you to invest in Denver real estate. Denver home values have gone up 6.9% from last year and are expected to rise another 6.0% in 2019. 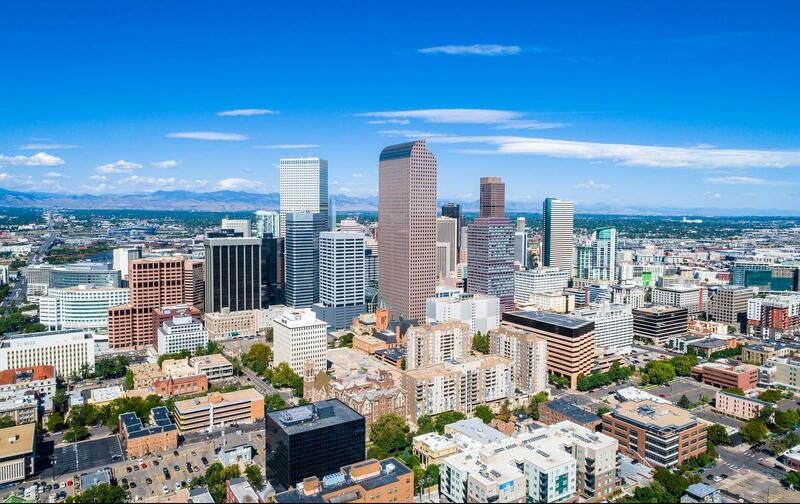 Denver scored a 4.4/5 in investor demand according to the Emerging Trends in Real Estate 2019 survey. Strong demand is supported as the Denver real estate market is currently a hot buyer’s market. Denver real estate investors can expect a strong return on investment with Airbnb investments. Traditional long term rentals aren’t performing as well according to the average city-level data. However, these are just average numbers. So you can definitely find profitable long term rentals if you invest in the right neighborhood. Our neighborhood analysis has shown where to invest in Denver for high returns following each rental strategy. Related: Is It a Buyer’s Market or Seller’s Market? Here are the best neighborhoods in Denver for Airbnb rentals. Here are the best neighborhoods in Denver for traditional investments. To start your search for Denver investment properties, click here. If the data isn’t enough, here are five more reasons why investing in Denver real estate is the right move for you in 2019. Denver’s population is on the rise. U.S. News and World Report listed Denver as the third best place to live in the US. Net migration is particularly strong in Denver according to the Emerging Trends in Real Estate 2019 survey. This strong flow of in-migration is really helping drive the economic activity in the market, which in turn boosts the Denver real estate market. Jobs are the main reason behind why so many people are moving to Denver. The unemployment rate is less than 3%, which isn’t shocking to people who already live there. Denver’s unemployment rate has been below that of the national average for years now. In-migration is vital to Denver because it has labor participation rates over 70%. Denver benefits from a large percentage of the population between the ages of 25 and 44 which is supporting the need for labor in the market. Another reason driving people towards Denver is the quality of life it provides, proving to be quite attractive to new residents. Single family home affordability in the Denver real estate market 2019 is below the national average. This is because housing inventory is low so prices are on the rise. However, increases in the cost of living are being offset by higher incomes. Denver has around 30 million tourists visiting every year. It’s well known for being located very close to the Rockies. Other attractions include the Denver Zoo and the Denver Botanic Gardens. Denver also hosts around 80 conventions every year. The tourism industry is a great motivator for Denver real estate investors to take part in the short term rental business. We’ve already seen how profitable Airbnb rentals will be in the Denver real estate market 2019. If you do choose to rent out on Airbnb, make sure to have a business license and research any other laws and regulations of the area. You’ve already seen how strong the Denver real estate market is based on Mashvisor’s data. Denver real estate trends indicate an increase of 6% in real estate sales, according to Trulia. Real estate development and investment activity are robust in Denver, which reports strong activity in nearly all property types. Denver ranked 8th in the Emerging Trends in Real Estate Report‘s list for overall real estate prospects and 10th for the home-building prospects list. Considering the fact that the Denver real estate market was ranked that high up out of 79 other cities, we’d say it’s a pretty strong market to watch. Denver’s housing market is one of the strongest in the Colorado real estate market. This is a growing and appreciating real estate market that cannot be ignored. There are many reasons backing the move to invest in Denver real estate, so start your search for investment property in Denver now! To start looking for and analyzing the best investment properties in your city and neighborhood of choice, click here. Heba is Content Writer at Mashvisor with a BA in Business Administration. Most of all, she enjoys writing about the constantly changing markets in the US real estate industry. If not writing, Heba is exploring and learning. The Boston Housing Market 2019: How’s It Looking for Investors? What Are the Baltimore Real Estate Market Trends at the Beginning of 2018? Should You Buy Real Estate Investment Property in the Chicago Real Estate Market?